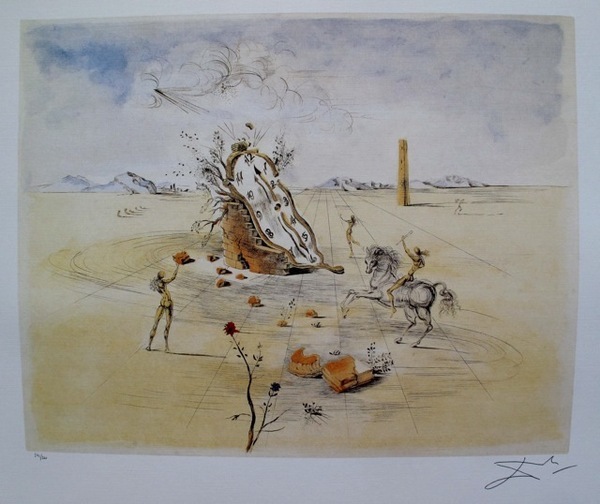 This is a Salvador Dali lithograph titled "Cosmic Horseman". Made on archival quality paper, facsimile pencil signed and pencil numbered from an edition of 500. 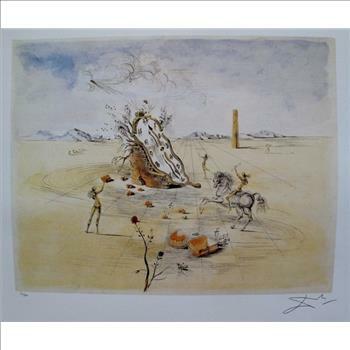 Image measures 19" x 15" on 24" x 22" paper. In excellent condition,Comes with a certificate of authenticity!